Nestled in a picturesque valley, El Cajon is surrounded by unique scenery and towering mountains. Spend your time exploring the many worthwhile tourist attractions, lesser known places, and great shopping and recreational areas. Some of the best places that you’ll come across include the Water Conservation Garden, Sycuan Casino, Heritage of the Americas Museum, and the Olaf Wieghorst Museum and Western Heritage Center. The Water Conservation Garden in El Cajon comprises six acres of land which are filled with a number of beautiful themed gardens, displays, and exhibits. During your visit there, you’ll be able to explore the gardens dedicated to plants that are native to the area, vegetables, and much more. You’ll also be able to see their exhibit on irrigation and how-to displays on mulch, where you’ll be sure to learn tips and techniques that you can take back with you to your own garden. Visitors can choose to go on their very own self-guided tour or join one of the complimentary docent-led tours offered there. 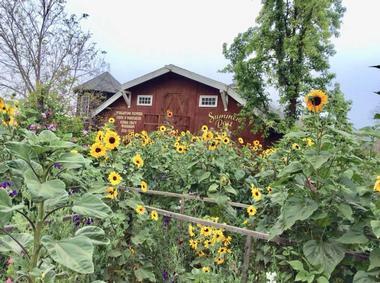 Complete with nursery, several gardens, a barn, and much more, visitors of all ages find Summers Past Farms to be an enjoyable place to spend a day while in El Cajon. There is so much to see and do there; the nursery is filled with colorful geraniums, sage, and habitat plants for butterflies and songbirds, among other things. Walk through the gardens and explore the wondrous flora and fauna that you’re sure to come across or stop by the Fairy Gardens for a whimsical adventure through the miniature, magical land. Other fun aspects of the farm include a seasonal pumpkin patch, sweet pea maze, their Rustic Area, and visiting the many animals on the farm. A long-time favorite with locals and visitors, the Sycuan Casino is often called “one of the best casinos in the San Diego area”. 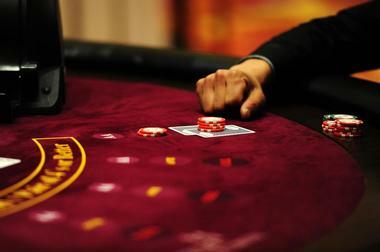 Bringing Vegas-style gaming to sunny San Diego, the casino is a thrilling experience for newcomers and old pros alike. You’ll be able to take your chances with over 80 table games such as blackjack, bingo, and poker, nearly 3,000 slot machines of several varieties, and much more. In addition to all the gambling fun, you’ll also be able to indulge in the casino resort’s weekly world-class entertainment, delicious dining options, and their hotel and spa which is underway. Sky Combat Ace offers a unique aviation experience that will give you an adrenaline rush like you’ve never experienced before. 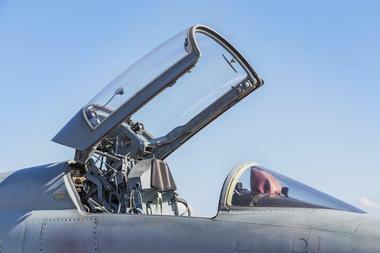 The minute you step in you’ll become an intense fighter pilot commandeering your very own fighter jet as you execute your mission. The thrilling and safe experience is founded by Richard “Tex” Coe who was in the Air Force for years before he was able to share this experience with others. There’re several experiences for you to choose from including aerobatics, air combat, flight training, or a combination or several things. No matter what you choose, you are sure to have an amazing time that you will talk about for years. Taylor Guitars is an acoustic guitar manufacturer that was founded in 1974 - it pioneered the industry and soon grew to be a leading global builder of premium guitars. Today, their state-of-the-art factory produces hundreds of guitars daily, and you can take a behind the scenes look at how it all goes down by going on their factory tour. A complimentary, guided tour is available for visitors to join, and will allow you to see the many steps behind guitar construction and how it evolves from a piece of raw wood into an amazing instrument. Perfect for music lovers, you’re sure to have an amazing time at Taylor Guitars. The Olaf Wieghorst Museum and Western Heritage Center is named after the famed painter who is best known for his magnificent portrayals of the 19th century American West. You’ll be able to see many of his works, most of which display his affinity for horses, Native American Indians, cowboys, and settlers who helped shape this country. 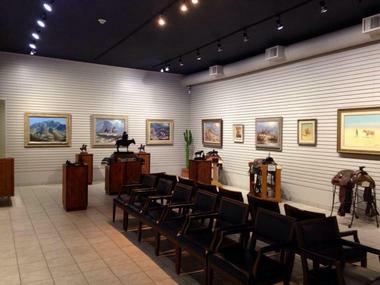 The self-taught artists would perfectly capture his rugged surroundings using watercolors, oil paints, and several other art mediums which you will come across at the museum. Many events, seminars, exhibits, and concerts are held at the center throughout the year for visitors to enjoy. Comprising four museums in one place, the Heritage of the Americas Museum focuses on natural history, archaeology, anthropology, and fine art. The enchanting destination is filled with exquisite artifacts, specimens, and other works for visitors to enjoy and learn from. You’ll be able to discover new places and cultures through their engaging displays and exhibits. 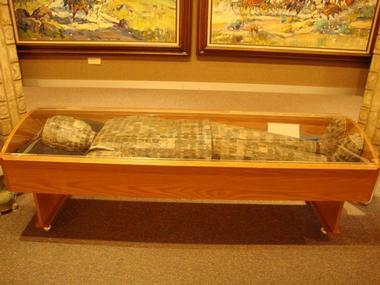 Some of their more popular showcases include La Brea Tar Pit fossils which date back 12,000 to 25,000 years, a stunning displays of Olmec pottery masks, and the Coming Through the Rye sculpture by Frederic Remington. Afterwards, be sure to stop by and relax in their Tropical and Desert Garden Patios for a relaxing end to an eventful day. Housed in the Commemorative Air Force Museum, Air Group One is the San Diego wing of the Commemorative Air Force. 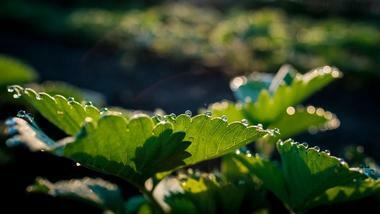 You’ll get to see, do, and experience so much during your visit here. For example, witness their amazing events such as the Air Group One & “Sassy” at Miramar Air Show, the Flying Legends of Victory Tour, the Ramona Air Fair & Fly-In, and their 53rd Annual Borrego Days Desert Festival. During their events, spectators will be able to enjoy several airplane and helicopter displays, hot air balloon rides, live music, an array of classic cars, and tons of fun activities like balloon animals and face paintings for little ones. 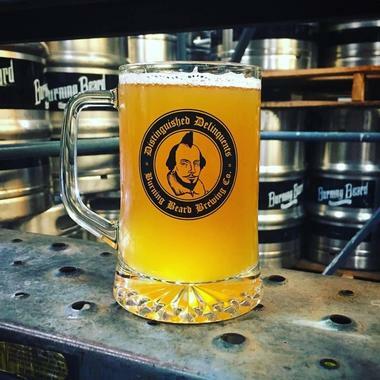 Situated in the heart of El Cajon’s commercial and industrial core, the Burning Beard Brewing Company produces one of San Diego’s most expertly crafted beers. You’ll find it smack dab in the middle of the area’s Circle of Hops which is a frontier in East County’s brewing industry. The brewery was founded in 2015 and is housed in a 1967 warehouse; you’ll be able to explore the brew house, cellar, barrel room, and tasting room while you’re there. Be sure to stop by and try out their latest brews, from their funky floral Wild Ales to their classic San Diego IPAs, whenever you’re in El Cajon. The San Diego Aerospace Museum Restoration Facility was established long ago as a small, one-hangar space. 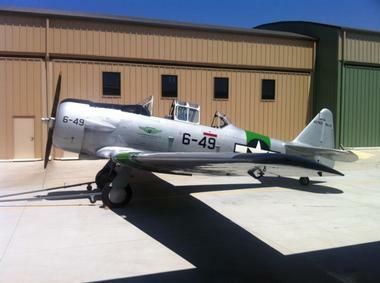 The facility is an integral part of the museum’s aircraft restoration and replica reproduction program. Visitors will be able to see several aircrafts such as the Bee Aviation “Honey Bee”, the Boeing B-52E “Stratofortress”, the Convair F-102A “Delta Dagger”, the North American F-86F “Sabre”, and the Vought F-8J “Crusader”. 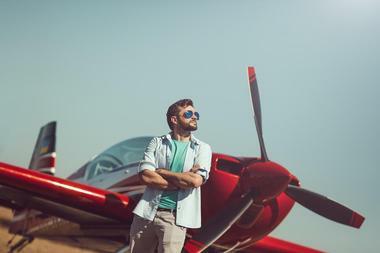 You’ll see old planes hanging from the ceiling, flying cars from decades ago, and even partake in workshops where you’ll see restoration projects take place. Visitors of all ages, young and old, will love spending hours exploring the stunning structures. 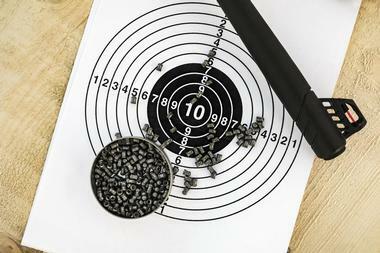 P2K Sports is a hybrid shooting range that is one of the longest operations of its kind on the west coast. 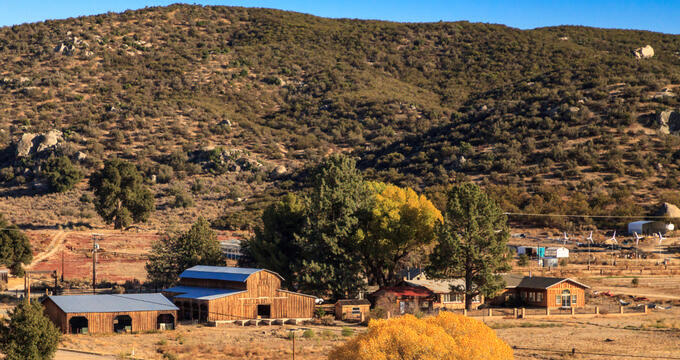 Tons of shooters and hunters have gone to the 14-acre range since it was established in 1923, making it a place that generations of families have gone to develop and practice their shooting skills. In addition to having fun out on the range, you can indulge in gunsmithing and renting firearms. If you’re in the area for a longer period of time, you can join their V23 Pistol League which runs for six weeks and includes three games each night with up to 120 rounds each. Marechiaro’s is a family owned and operated restaurant that has been serving authentic Italian cuisine to the people of El Cajon since 1955. It is a household name in San Diego’s East County, and rightly so as each bite you take is fresh and flavorful. Everything is made at the restaurant fresh daily, using methods, recipes, and secret ingredients that have been passed down generations all the way from Palermo, Sicily. 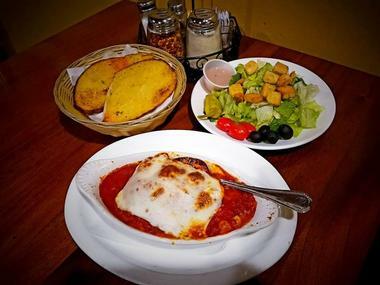 One of their most famed specials is their lasagna, comprising fresh, homemade pasta which is stuffed with sausage, ricotta, mozzarella, and Romano cheese, before being baked to perfection. Greek Chicken is a family owned and operated restaurant that has been serving the residents and visitors of El Cajon for over thirty years. 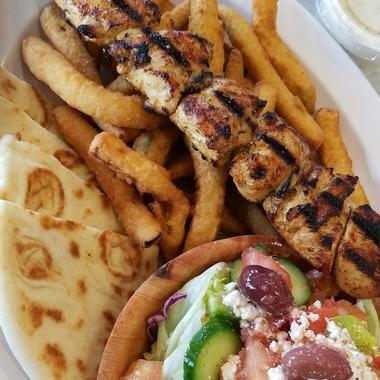 It is one of the best places in the area to have authentic Greek cuisine, as they serve everything from gyros and chicken pitas to kabob plates and authentic Greek salads. When you stop by, be sure to try their famous lemon-seasoned chicken which has proven to be a favorite with all their diners. The restaurant was voted “San Diego’s Best Greek Restaurant” two years in a row so make sure to try what everyone’s raving about. The Breakfast House is a family-friendly diner that has a relaxed old-school vibe and serves delicious old-fashioned American cuisine for breakfast and lunch. 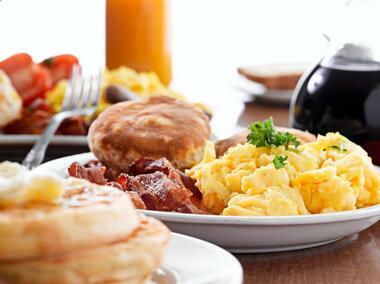 Whether you want to stop by for just a cup of their fresh coffee or if you’re in the mood for a full, hearty meal, the Breakfast House is the right place for you. Their meals are made with as many fresh ingredients as possible, many of them locally grown and free of hormones, antibiotics, and artificial preservatives. Some of the most popular items from their menu include the crusted French toast, house Belgian waffle, fresh berry pancakes, and their Meat Lovers dish which has hickory smoked ham, applewood bacon, and breakfast sausage with melted Swiss and cheddar cheese.